It took a really long time, but I have now finally completed the design of my main characters! This update is meant as a bit of a final conclusion of their designs and what the next step is. Since I am making this movie in 3D, I will give everything a real size and scale. This makes it easier to actually design things if I can refer to real life measurements. Like how high is a normal ceiling, how long is a bed, how high up is a sink etc. Designing the world as if it was real makes everything easier. 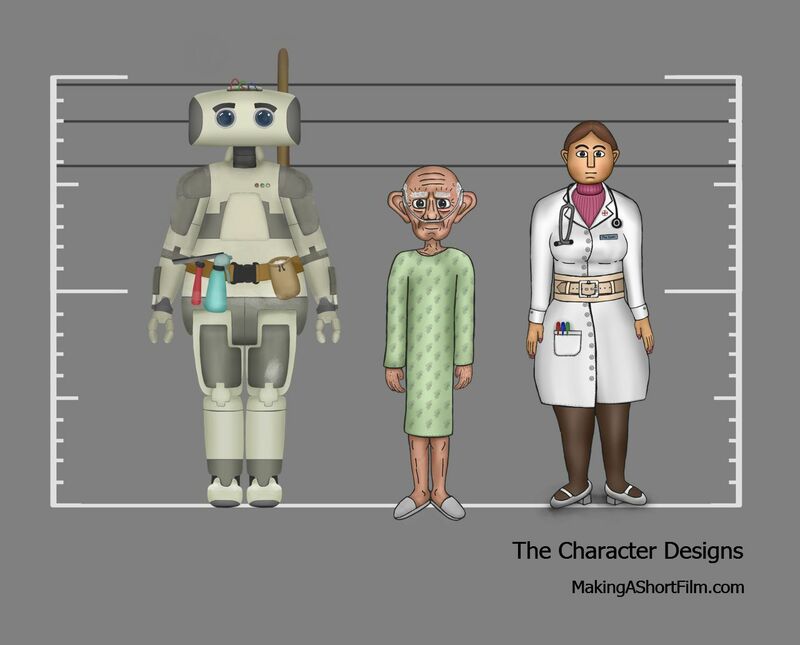 Here are the three characters on one sheet for size comparison. 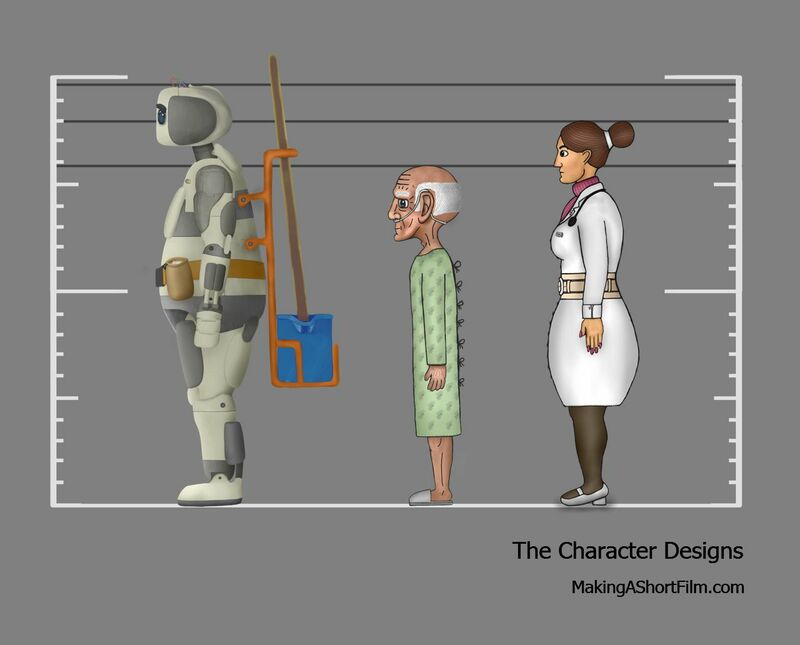 The height of the old man is 1.58 meters, the doctor is 1.80 and the Robot is 1.97. I always wanted them to be three distinct sizes with the doctor sitting in somewhere between the other two. This makes the doctor larger and stronger than the Old Man, while the Robot is physically stronger than the Doctor. The full quality, 6K-resolution version can be viewed in the download section below. With these images, I have enough information not only for creating the character models later, but also to start design the surroundings they will live in. I want the characters to be the center of everything, and with them clear in my mind, I can try to find out what the surroundings will look like. It can both be different ways the characters fit in this world, and different ways they don't fit. In these surrounding, namely the hospital room, there are two objects that I have deemed important enough for separate, proper concept arts, and that is the EKG monitor and the hospital bed. So, I will start by drawing them, and after they are finished, I will design the entire hospital room as a whole.